LANmark-6 10G consists of screened components speciﬁed to frequencies up to 500MHz. They have been designed speciﬁcally to support the higher frequencies required for 10 Gigabit Ethernet, yet is fully backwards compatible with today's needs. The LANmark-6 10G EVO connector ﬁts in all structural hardware designed for the EVO snap-in range. In addition to the requirements of the EIA/TIA 568-B.2-1 and ISO/IEC 11801:2002 Category 6, the LANmark-6 10G products are additionally speciﬁed to 500MHz and are screened to ensure immunity from Alien Crosstalk and other external interference. 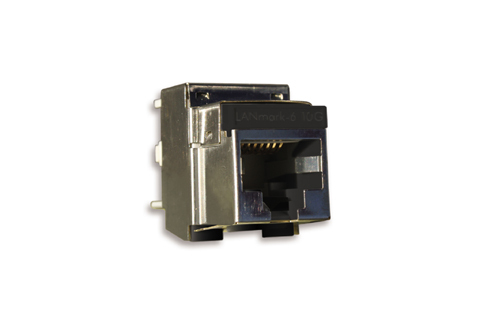 The LANmark-6 10G EVO Snap-in connector has been designed to reach the highest performance in Cat 6 and Class E up to 500 MHz. It has outstanding performance for attenuation (insertion loss), NEXT/FEXT, Power Sum NEXT/FEXT and Return Loss, exceeding the Cat 6 connector specs as in IEC60603-7-5. When used in combination with Nexans LANmark-6 10G cables and LANmark-6 10G Ultim patch cords, and installed according to the guidelines, the system supports the 10GBase-T applications as deﬁned in IEEE 802.3an, ISO/IEC TR 24750 and TIA/EIA TSB-155. Respecting the Nexans LANmark-6 10G design guidelines, the full 100m four-connector channel moreover meets Category 6A and Class EA requirements as deﬁned in TIA/EIA568B.2 Addendum 10 draft 6.0 and ISO/IEC draft amendment 1.1 (as in draft 25N1324) respectively. 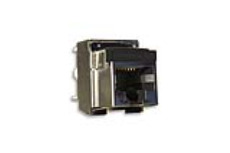 The LANmark-6 10G EVO Snap-in connector is covered by the guarantee as in The General Terms and Conditions of Sales. When installed in combination with other LANmark-6 10G components, a 25 years channel warranty can be obtained, covering 10GBase-T support in accordance with IEEE 802.3an. Also if following the design guidelines for LANmark-6 10G systems and tested accordingly, a 25 year warranty can be obtained to Category 6A or Class EA requirements.